Every county club you visit will have a unique feel to it. You take the tour and you talk to the membership director and in a very short period of time you can summarize what your overall experience would be as a member. Some clubs you visit will leave you hard pressed to find a reason why anyone would want to be a member. A club lounge is a club lounge. A locker room is a locker room. So what makes a club worth being a part of? When you pass through the front gate for the first time you will begin to feel what being a member of the community will to do to you. From the scenic vistas of the lakes and wetland preserves to the lush green links of the golf course Laurel Oak has a very welcoming feel. The club is 20 years old which makes it fairly young as country clubs go but old enough where the landscaping looks like it has been there forever. The neighborhoods are very attractive, the homes architecture has a timeless feel, the roads are wide and comfortable, and the common grounds are immaculate. Of all the country clubs I have visited, Laurel Oak is one of the clubs that has a fantastic “family” atmosphere to it. The average age of the members is 57 which is significantly lower than most country clubs in Sarasota. The most notable difference between Laurel Oak and other Sarasota clubs is, you often see the entire family participating in club events. From tennis lessons for the kids, to fathers playing golf with their daughters, to the ladies basking in the sun by the pool, Laurel Oak is a very active family Country Club. A great example of the fun this family community has is the take home policy for the country club golf carts. It is actually a written clause in your cart lease agreement that on Halloween you return your golf cart to the clubhouse so it may be used by families without a cart of their own to drive their children around the neighborhood for trick-or-treating. Apparently everyone in the community (including Grandpa) likes to get dressed up in typical Munsters Family attire and drive their hot-rod golf carts around the neighborhood so the children can chase treats while the adults mingle. More than 500 people participate in the Halloween festivities which have grown to be one of the communities biggest events. 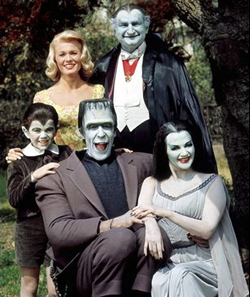 With nearly all 404 household participating in the costume parties and adults acting like Herman Munster cruising around in hot-rod golf courts, this ghoulish night makes fond memories for all that attend. On a more serious note, Laurel Oak hosts many tennis tournaments where you compete against other local county club members, there are swim meets for the kids at the aquatic center, a $500 cash dinning night where the host draws a members name from a hat, if your name has been drawn and you are present at the dinner you take home $500! In season there are over 250 members attending this event. There are more than 180 events held in the clubhouse each year. Laurel Oak Country Club enjoys a reciprocal agreement with the Bird Key Yacht Club. Laurel oak members enjoy social benefits of the yacht club and its facilities and may dock a boat for dinner or events as space permits. In the summer months Laurel Oak has a reciprocal agreement with 20 other clubs from Tampa to Naples so you may experience the challenges of other local golf courses. Laurel Oaks is an 813 acre member-owned gated community which contains 404 homes and the Country Club which consists of two 18 hole golf courses, 12 clay tennis courts in perfect condition (8 are lit for night time play) a 45,000 square ft. clubhouse, and a heated Junior Olympic pool. There are 29 lakes and 22 wetland preserves. The country club has been member-owned since 1999, the members of Laurel Oak are a very warm and friendly group and a great source for business networking. Laurel Oak has one of the lowest initiation fee’s of any Country Club in Sarasota, the annual dues are slightly above average. Membership is not required for residents of the community. Laurel Oak has hosted the U.S. Open qualifying tournament and continues to be the site for the Michelob Ultra-Lite National Tournaments. In addition, for the past several years, it has been the site for the Sarasota area Special Olympic Fund Raising Tournament. The west course was completely re-designed in 2005 by Rees Jones and is a fantastic course in immaculate shape. It is 6934 yards from the black tee box, 4647 from the white. The East Course was completed in 1995 and is a Gary Player Signature course. It is 6,875 yards from the black tee box, 4,673 from the white. All sales in the pro shop are cost+ 10% for members and it certainly is the best place in town to score the best deals on new equipment and golf atire. Laurel Oak homes for sale vary from 2,200 square feet to over 7,500 square feet. There are 3 minor subdivisions of Laurel Oak which contain 60 maintenance free home where the community is responsible for the landscaping. These residences certainly appeal to those who will only be here 6 months out of the year. Maintenance free living gives you the peace of mind that your home is well taken care of while you are away. Home Prices range from $320,000 for a maintenance free villa to $1.4 million for one of the more opulent palatial residences in the community. These home are extremely well built, lot sizes are large, The Home Owners Association does a fantastic job of maintaining this community. Some of the rear Lanais and private pools associated with many of these homes will simply take your breath away. In my opinion Laurel Oak represents the best value of all Sarasota County Clubs when considering what the club offers its members and the fact that homes here are priced 20% less than those in comparable communities. Why the disparity? Laurel Oak home prices suffered like other communities in the area late in 2008 and a few foreclosures really hurt the current values. This correction in prices was completely over-done and any home for sale in the community represents an extremely good deal when compared to other country club community real estate for sale in our market. Laurel Oak is a 5 star community with a great community atmosphere and all the facilities and courses are in top condition. The average membership age is 57 making it the “youngest” country club in Sarasota. This is a very well run establishment that you will certainly be happy to be a member of. If you are looking for a country club community that really is fantastic, I encourage you to start you search here. Below are the current real estate listings available at the Laurel Oak Country Club.